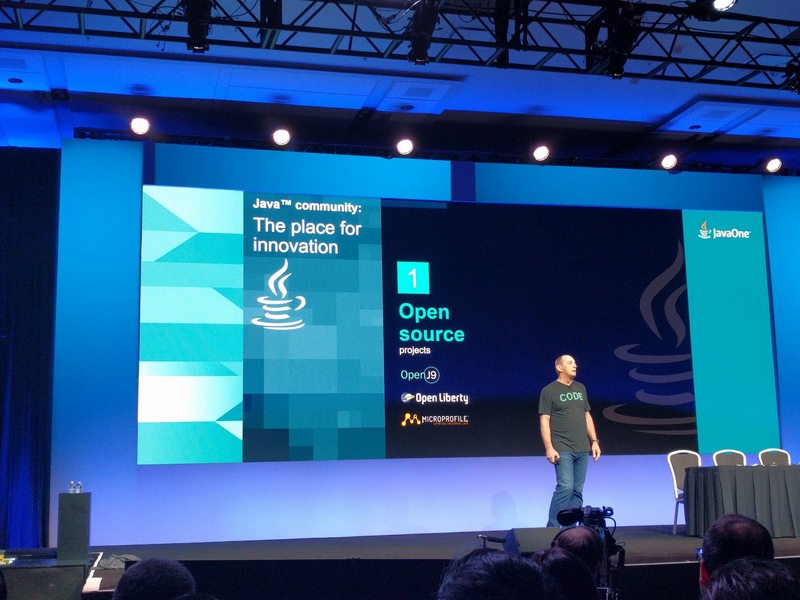 IBM Open Sourced their JDK (Open J9), their Application server (OpenLiberty). 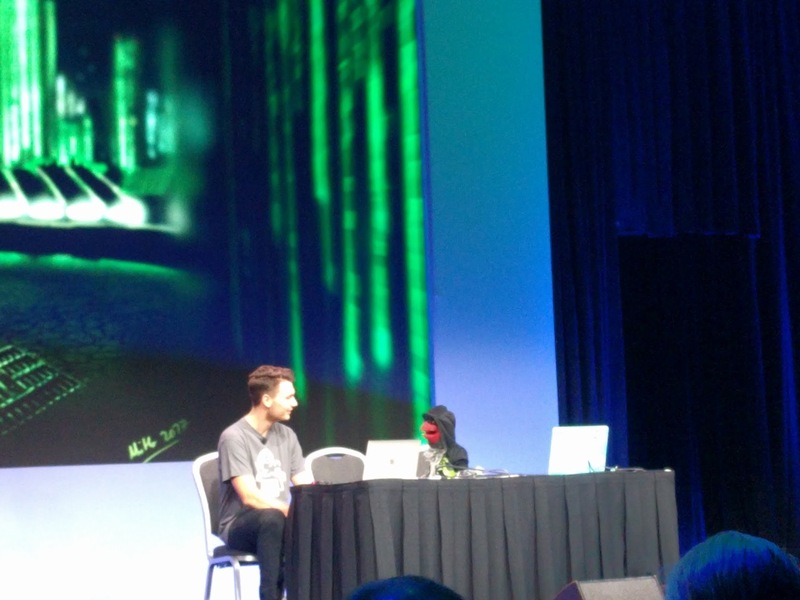 The very funny version of “The Matrix” took us out. Very interesting talk on storing and processing JSON in the Database. Of course you rather want to use a Document store, Key-value store or Search Engine than storing JSON in a relational database. But in cases that you have a relational DB and want to store JSON in a table, look at Oracle SODA. 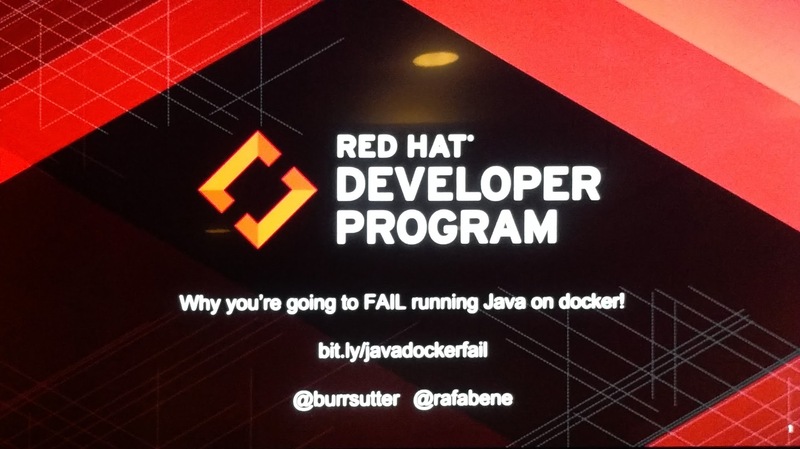 Why You’re Going to Fail Running Java on Docker! There are a few caveats to look out for, and ways to get around them. 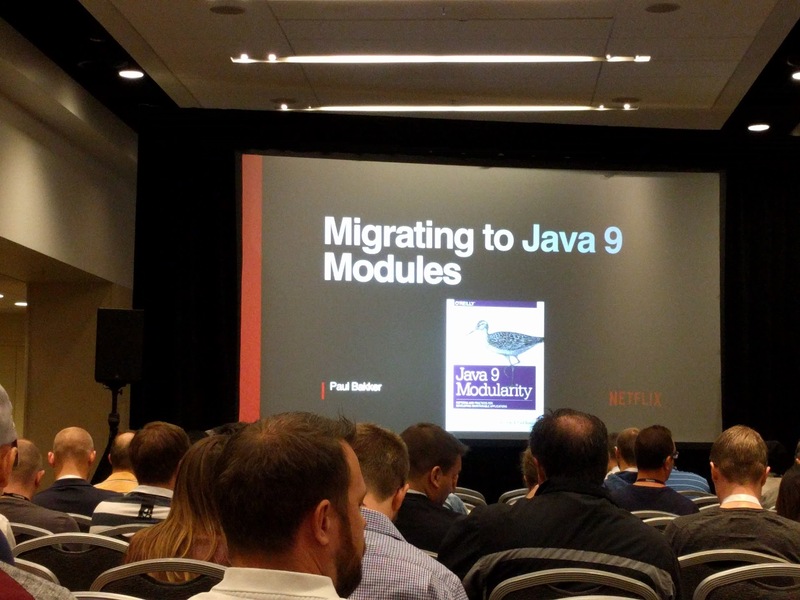 Even if your app’s dependencies have not yet migrated to Java 9, you can sill use them as modules. 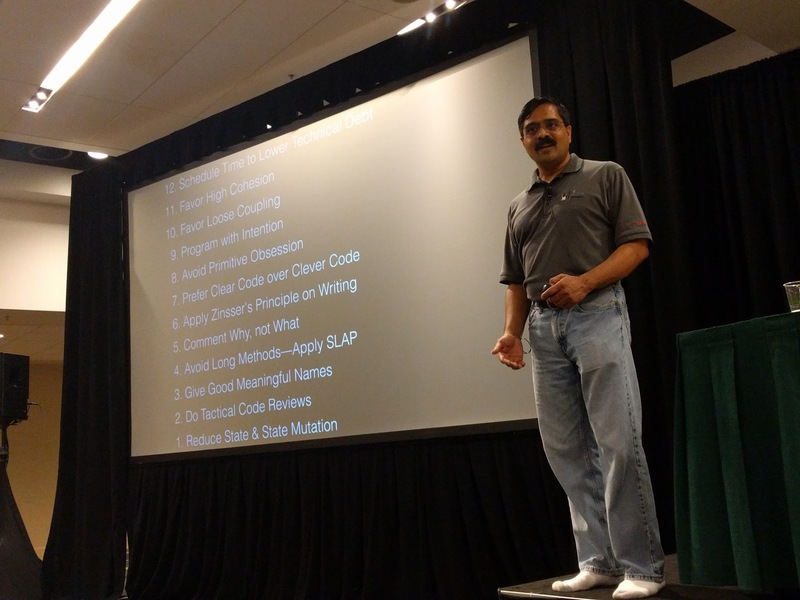 One of 7 talks that Venkat Subramaniam gave at JavaOne. His talks are always good en very entertaining. Machine Learning is an important part of Artificial Intelligence that learn from experience to make predictions. 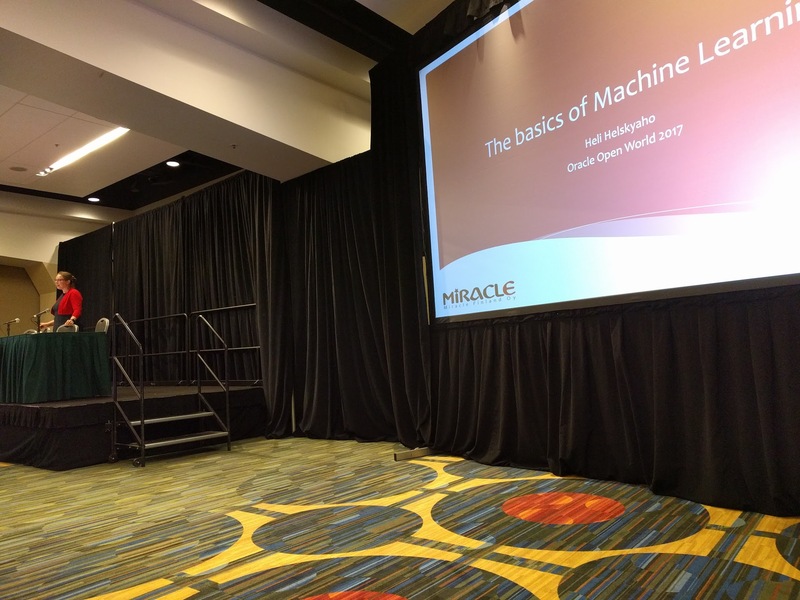 Due to the improved tech and the price of storage, and the fact that the environment needs it, Machine Learning is very popular now. 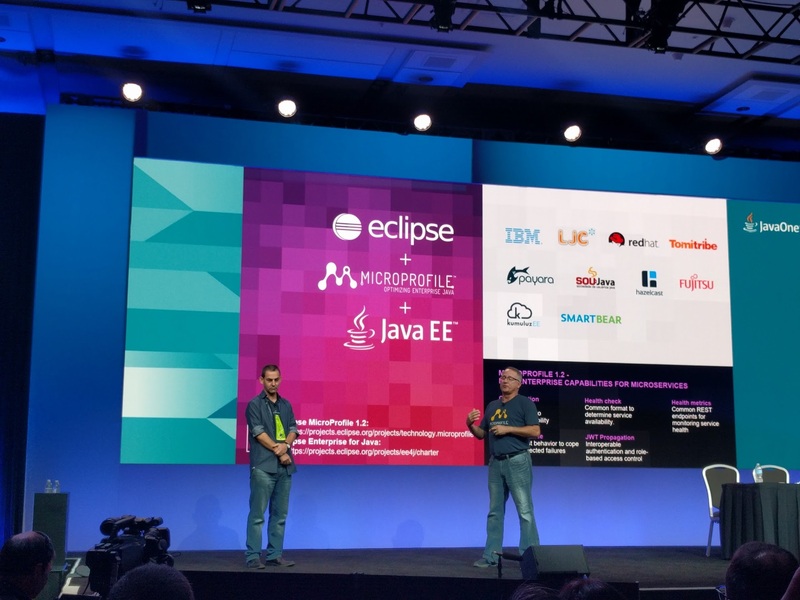 End of yet another awesome JavaOne. 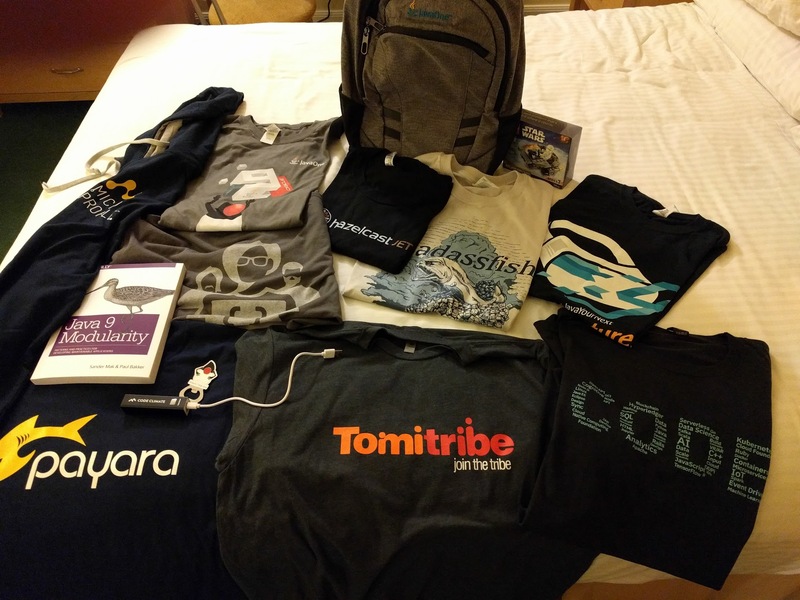 5 days, 4 party, 3 keynotes, 33 sessions, many new friends and all this swag.